The author vividly puts the specific problems prevalent in the education system that are a major deterrent in children’s learning and growth. This book raises few vital issues like the rat race for college, reading failures, the tyranny of testing, teachers talking too much, etc. This is a powerful book which impels one to reflect and reassess one’s methods of administration and teaching. 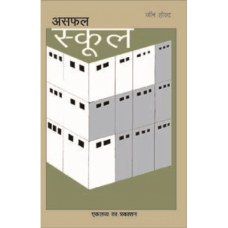 असफल स्कूल - Sharda Kumari , for detailed reviews in PDF format click here .